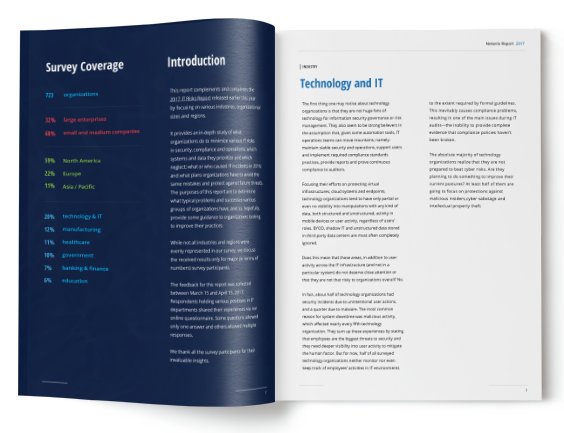 The report provides an in-depth study of what organizations do to minimize various IT risks in security, compliance and operations. 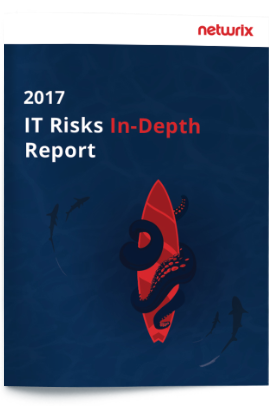 It complements and completes the 2017 IT Risks Report by focusing on various industries, organizational sizes and regions. of financial organizations do not have a separate cyber-security function. of manufacturing companies have zero visibility into mobile devices, despite the wide use of mobile devices for work purposes.